The Dover Medical Centre provides a general practice with Dr Eve Merfield, Dr Patrick O’Sullivan and Dr Martes Alison. The Dover Medical Centre provides a wide array of information and services is easily accessible and has a philosophy to provide thoughtful medical care to families by keeping up-to-date with medical innovations and bringing you efficient personal service. 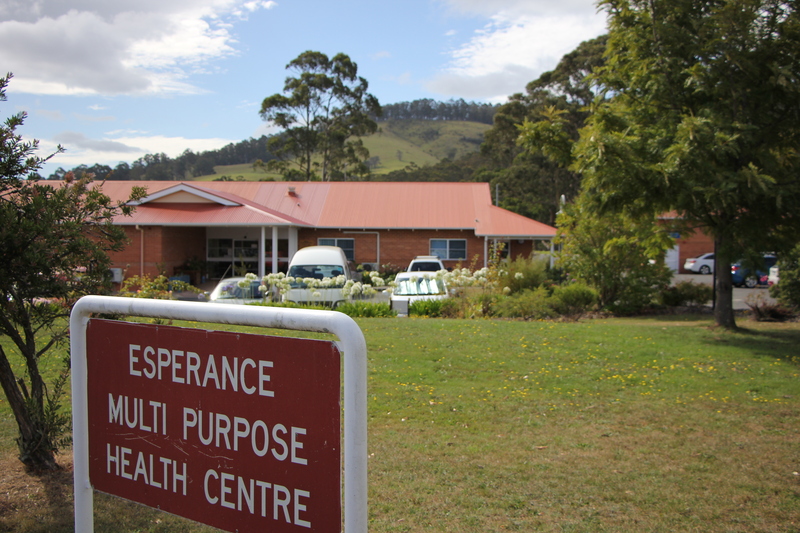 The Dover Medical Centre is owned and operated by the Huon Valley Council which is committed to the provision of a safe work environment for all its employees and citizens. Council has established policies for the provision of the general health and well being of all its employees, and provides a safe working environment through the restriction of smoking. Additionally, Council is concerned that buildings under its control promote a safe and hazard-free environment for all citizens. Dover Medical Centre is located at 15 Chapman Avenue, Dover. There is ample parking provided. Our Centre provides home visits to patients who live within a 10 kilometre radius of our Centre and have no transport or means of travelling to the Centre. Visits are undertaken of an evening unless the patient’s needs are such that a midday visit is required. Should you require a home visit please notify the staff during the morning. There is an Afterhours Service available through a cooperative with the Geeveston Medical Centre. Information on how to access the afterhours service can be obtained by ringing the Centre. Outside of normal hours, on weekends and public holidays, emergency care is provided via the After Hours Doctor’s Service. The Tasmanian Ambulance provides 24 hour cover for Accidents and Emergencies – ring 000 for this service. After hours care is available from the Royal Hobart Hospital free of charge – (03) 6222 8308. The Hobart Private (03) 6214 3000, Calvary Hospital (03) 6278 5333 and St Johns Hospital (03) 6223 7444 also provide Accident and Emergency care. In the case of these hospitals you should check their current charges and levies before attendance. Consultation is by appointment. The reception opens at 8.30am on week days and appointments can be made from 8.45am. The staff will make every effort to accommodate your preferred time. Emergencies will always be given priority and the staff will make you aware of any known delays. Some medical problems require a longer consultation time and you will assist us greatly by indicating to the staff whenever you require a longer appointment. Booking a long appointment is important for more complex problems – insurance medical, health review, counselling, a second opinion etc. This may involve a longer wait. Please bring all relevant information. Please notify us if you are unable to attend an appointment well in advance. If more than one person from your family wishes to see the doctor at the same time, please ensure a separate appointment is made for each family member. Time is valuable to all of us. If you fail to attend appointments without adequate explanation, we cannot guarantee you future booked appointments. We aim to make your time at the Medical Centre as pleasant as possible. You can read the up-to-date magazines or simply relax in the warm and comfortable atmosphere of the waiting room. Furthermore, there is a kids’ play area for the little ones to enjoy. All of the staff at the Dover Medical Centre are dedicated to providing you with a friendly health care service. The Centre is comprised of two doctors. Please let us know which GP you would prefer for consultations. Our Practice Nurses Jutta and Gabby are Available to assist our General Practitioners with the management of Patient Care. Our reception staff (Annette, Team Leader and Medical Receptionists Gemma, Bonnie and Sue) are available to make appointments or to assist in any way, just give us a ring. We are a mixed billing practice. This practice uses the AMA list of fees as the basis for its fee structure and generous discounts are offered for prompt payment. A copy of the fee scale is available for perusal. All fees are payable at the time of consultation. Payment can be made by cash, cheque, credit card or EFTPOS. A small fee may be charged for procedures, dressings and vaccines, to cover costs. Pensioners, Veterans, Health Care Card holders and children under 16 years of age are currently direct billed and no extra charges are levied at the present time. This policy may change. It is essential that cardholders present their current concession card at every visit. Services available include home visits, hospital and nursing home visits, full check-ups, family planning, pap smears, pregnancy testing, shared antenatal care, ECG’s, hearing testing, respiratory function testing, counselling, travel medicine and vaccinations, childhood immunisations, minor surgery, sports medicine, cryotherapy, nutritional advice and skin checks. Driver’s exams and other medicals are available. In our Centre, GP’s and clinical staff receive and return telephone calls and messages between patient appointments or after surgery depending on urgency. Patient health records are managed through our Medical Director system and we provide a recall and reminder service. We also encourage patients to provide information to State and Federal Registers for screening and appropriate follow up of results. Referrals – Doctors in this practice are competent at handling common health problems. When necessary, they can use opinions from specialists. You can discuss this openly with your doctor. Despite our best intentions – we sometimes run late! This is because someone has needed unexpected urgent attention. Thank you for your consideration. Telephone advice – Most problems are best dealt with in consultation. A doctor is available during normal surgery hours for emergency advice. Our staff are experienced in deciding the appropriate response to any phone request. Medical record confidentiality – Your medical record is a confidential document. It is the policy of this practice to maintain the security of personal health information at all times and to ensure that this information is only available to authorised members of staff. We abide by the Privacy Act. Reminder system – Because our practice is committed to preventative care, we may send you an occasional reminder regarding health services appropriate to your care. If you wish to opt out of this, please let us know. Test results – It is your responsibility to ensure you follow-up test results, particularly when practice staff or your doctor stress that you do this. Ask reception staff about the best way to go about it.